12.8% alc., 136 cases, $42. 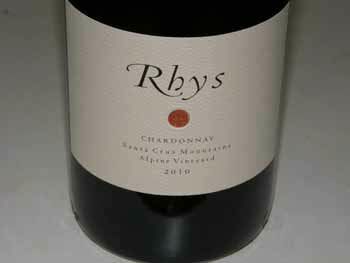 This is no surprise as Brian has worked extensively with Chardonnay at Neyers Vineyards and Marcassin in the past. 60% of the fruit is from Bieze Vineyard which shares a fence with Seven Springs Vineyard. The balance of the blend is from the Wirtz Vineyard which dates to the early 1970s. Barrel fermented in mixed aged French oak barrels. Unfined and unfiltered and not cold stabilized. Label is adorned with bees courtesy of Clare and her hives. · Light straw color and clear in the glass. Brilliant aromas of fresh applesauce, the air after a rain, and graphite. Appealing flavors of baked apples, pear and lemony citrus. Slightly creamy on the palate with a refreshing lift of acidity on the finish. Not a showy or dolled-up wine, put pure and modest. 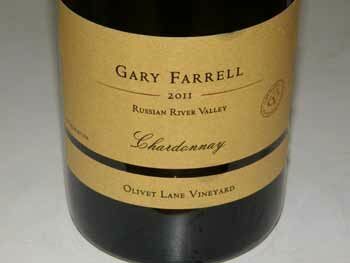 One of the better Chardonnays I have had from Oregon. Bring on the oysters! 14.2% alc., 1,130 cases, $60. Released November 2012. Sourced from the renowned Ritchie Vineyard. Wente selection. Yield of 3 tons per acre from 38-year-old vines. Complete malolactic fermentation and 15 months aging in 50% new French oak barrels. · Light straw color and clear in the glass. Very expressive nose, offering aromas of lemon blossom, tangerine, croissant and almonds. Soft in the mouth, with plenty of pear, white peach and lemon flavor augmented by minerality. Faint toasty oak frames the wine which leaves a lingering impression on the finish. Did I mention the marvelous mouth feel? 14.2% alc., pH 3.23, TA 0.74, 315 cases, $45. Release May 2013. Sourced from the Pellegrini Family’s Olivet Lane Vineyard that was originally planted in 1975 on the Santa Rosa Plain. This 65-acre vineyard was one of the first in the Russian River Valley planted to Pinot Noir and Chardonnay. The clone is Wente selection on AXR rootstock. 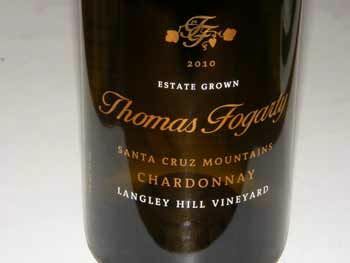 The regular fog intrusion and well-drained clay loam soils are ideal for growing Chardonnay. Aged 7 months in 40% new French oak barrels. Inaugural release from this vineyard and what a winner! Light golden straw color and clear in the glass. Aromas of lemon, honey, pineapple and buttery oak lead to a delicious fruit-charged wine with a bevy of citrus, lemongrass and caramel flavors lifted by an hi-tone cut of acidity. A seductive creaminess adds to the appeal and the tonal finish perks up the palate for more. 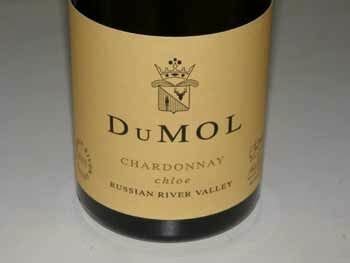 Quintessential Russian River Valley Chardonnay with a historical pedigree. 14.5% alc., pH 3.30, TA 0.69, 152 cases, $78. Bottled April 25, 2013. Inaugural release. From a vineyard planted in 1976. St. George rootstock and Hanzell clone selection massale from the original Ambassador’s 1953 Vineyard. Aged 18 months total with 12 months in 33% new French oak barrels. Moderate golden yellow color and clear in the glass. Reserved, but complex nose, offering aromas of lemon, grilled pineapple, baked apple and hazelnut. Very creamy and harmonious on the palate with the lemon and apple fruits draping the structure such that the wine feels sleek. More body and fullness than the estate bottling with added power on the finish. Remarkably silky on the finish as well, literally slipping off the back of the palate. Still superb when tasted from a previously opened and re-corked bottle two days later. This wine is still young and will benefit from a few years of cellaring to reach its apogee. 14.2% alc., pH 3.33, TA 0.63, 138 cases, $38. 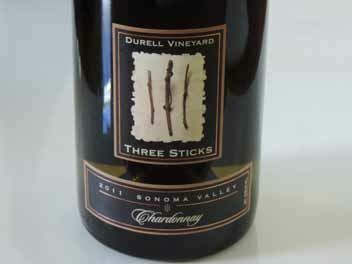 Sourced from replanted vines using cuttings from the original old vines including Wente clone. 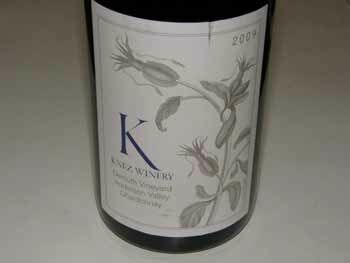 Ken has worked with this vineyard for more than 30 years. Whole cluster pressed, barrel fermented, 75% malolactic fermentation, aged sur lie 10 months in 17% new French oak barrels. Light golden yellow color and clear in the glass. I was enchanted with the nose that offered aromas of tropical fruits, pear, buttered brioche and slate. Delicious compliment of lemon, baked pear and apple flavors with the slightest hint of complimentary French oak. The wine really brings you to attention on entry and holds on for a satisfying, acid-driven finish. Very soft in the mouth and appealing now, but has the balance for a long life in the cellar. 13.2% alc., $37. A high-elevation, old vine vineyard (almost 25-years-old) that ripens late even by late-ripening Anderson Valley standards. Old Wente clone. A very appealing wine that is not gussied up with oak and is highly flavorful. Lemon and green apple and citrus aromas and flavors are featured with a faint note of fresh brioche. Crisp, bright and refreshing, like biting into a ripe green apple. Very charming. This is a Grand Cru level old vine Chardonnay vineyard. 14.2% alc., 1,364 case, $58. Released October 2012. Fifteenth vintage from this vineyard first planted in 1981. This vineyard shines in both hot and cool years. 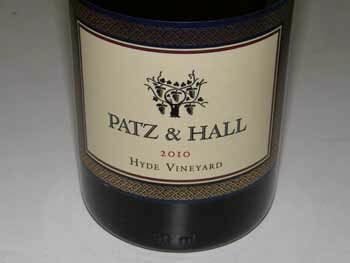 Hyde-Wente selection planted exclusively for Patz & Hall on the best soils at Hyde Vineyard. Very well-drained sandy, clay loam which typically produces low vigor and low yields. Whole cluster pressed, indigenous yeast fermentations, aged sur lie with weekly stirring, 100% MLF in barrel, aged in 52% new Burgundian French oak barrels. Unfiltered. Light golden straw color and clear in the glass. Perfumey with attractive aromas of lemongrass, honey, pear and fresh air after a rain. Very classy, and of striking quality, with flavors of lemons, apples and oak-driven caramel and honey. Seamless, bone dry and done right. This is a wine that drinks so softly, you want to take another sip right away. 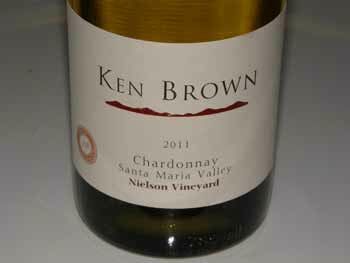 Sublime seduction and one of California’s greatest Chardonnays. 13.2% alc., $69. From 1.73 acres planted to Hyde, Wente and Dijon clones at 1,230 to 1,400 feet elevation. 24” of top soil over soft shale. Grapes are slowly whole cluster pressed for 4 hours. The must is settled overnight and barrels filled in morning. 20-25% new French oak barrels are used. The wine is left undisturbed in cask without stirring to complete native yeast fermentation that sometimes can take an entire year. Golden yellow color and clear in the glass. Appealing aromas of lemon peel, pineapple, slate and a hint of nutty, buttery oak. Delicious core of yellow apple and lemon flavors with a hint of butter brickle and oak. The fruit really pops in the mouth and hangs on for a very long and glorious finish. Juicy, crisp and thoroughly satisfying in every way. Yum. Held up beautifully in an opened and re-corked bottle finished over two days. 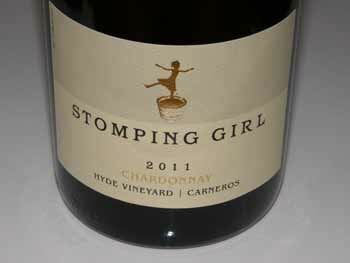 One of the best California Chardonnays I have ever tasted. 13.8% alc., pH 3.50, TA 0.60, 150cases, $40. First established in 1981, Hyde Vineyard is widely acclaimed. It is planted on gently rolling hills and cooled by wind and fog from nearby San Pablo Bay. The soils is well-drained ancient creek beds of clay loam and rocks. Clones are Wente Hyde Field selection and Robert Young hand harvested at 22.2º Brix just before the October rains. Whole cluster pressed, barrel fermented sur lie with regular stirring, 100% MLF, aged 11 months in 15% new French oak barrels and bottled unfined and unfiltered. Mild yellow blonde color in the glass. The aromas of nectarine, lemon, Fuji apple and hazelnuts draw you into the glass. A very polished and sophisticated wine offering refined flavors of lemon, pineapple, green apple, and brine with a pleasing kiss of lemon on the finish. The wine’s underlying bright acidity supplies plenty of vibrancy. This wine has a Burgundian soul and reminds me of a William Fevre Les Clos Chablis Grand Cru that I recently drank. 13.5% alc., pH 3.43, TA 0.69, 511 cases, $48. Sourced from Old Wente 1 Block, one of the oldest, coldest and windiest sections of Durell and Rocky Flat Block planted to Dijon 76. Fermented in concrete egg and oak barrels, aged in 60% new French oak barrels for 14 months. 100% malolactic fermentation. Moderate yellow-gold color and clear in the glass. Very nicely perfumed with aromas of lemon, pear, nori and the faintest oak. A delicious wine of elegance, class and sophistication featuring vivid flavors of lemon curd, lime, spice and toasty oak. Crisp and juicy, with excellent underlying mineral-driven acidity, finishing with length and lemon goodness. 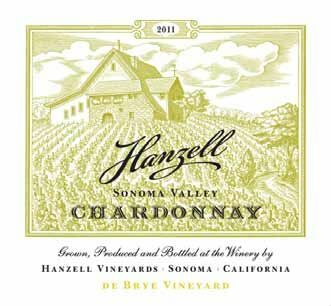 I am partial to barrel fermented, 100% malolactic fermented Chardonnay, and this wine delivers without being overwrought with oak-driven accents.